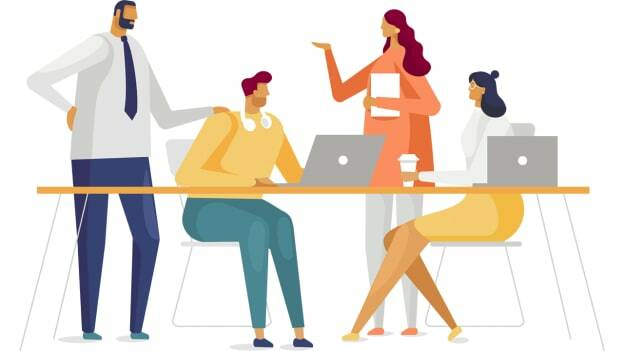 A diverse work environment increases creativity, promotes a better understanding of consumers, results in more productive brainstorming sessions and creates a space where team members strengthen each other. As founder and CEO of Woo, I’ve learned that, in order for a company to be truly successful, it must practice unconscious bias. When a company has a diverse work environment, its culture promotes diversity of ideas and perspectives, which contributes to a company’s success. Unfortunately, many companies aren’t as diverse as they could be because there are potential candidates that don’t even make it as far as the screening process—often without companies even knowing that they’re making a mistake. I’m proud to share some quick and simple tips I’ve learned over the years to ensure you’re building a diverse workplace by using a machine learning matching system to find what developers really want in a job. Step one? The screening process. There used to be no real way of knowing that you were being discriminatory against a person during the search and screening process other than to become aware of what you were doing. Unfortunately, there are many details that can cause unconscious bias, including a candidate’s name, education, work experience, and even their address. During a recent review of multiple studies (also known as a meta-study), it was discovered that over the last 25 years, hiring discrimination against African-Americans hasn’t changed at all. During that same time, Latinos have only seen a moderate drop in discrimination. Because of this, both African-Americans and Latinos have to work harder to get an interview, even if they are just as well-qualified for a position. In the past, employers would simply hide these elements from view when they reviewed the resume of a potential candidate so they didn’t practice unconscious bias. While the same factors still apply today, there are some new advanced tools which can help. Today, there are tools that search and screen candidates for you—often using some form of AI to filter out candidates and match companies with the relevant ones. These tools can save a lot of time during the screening process; however, they don’t always help with diversity. Because humans are used to teach many of these AI-powered recruiting tools to screen candidates, it is inevitable that the tool will mimic their biases. Thankfully, there are machine learning tools out there that do not include these biases. These tools enable companies to reach a more diverse group of qualified and engaged candidates. A perfect example of this is that in many cases, we saw candidates where their "official" years of experience in their resume is also semi biased as well. For example, there are countless examples where Woo’s machine learning technology matched candidates when on paper they were not qualified by their years of experience, however, after taking a deeper look, those candidates had past experience contributing to the open source community for many years and did some crazy project for the community and that should 100% be counted as previous work experience, in turn, making them qualified for the job at hand. Set a standard for the interview process: Set up for every interview the same way, no matter who the potential candidate. Try writing down all the questions you’re planning to ask during the interview beforehand so you can stay on track. Jot everything down: One of the best ways to prevent bias during an interview is to take plenty of notes so you make a more informed and objective decision once the time comes. Think through your decisions: If you decide you want to reject a potential candidate, take the time to ask yourself exactly why you have decided to do so. Make sure that your decision is based on objective criteria. Seek the input of others: It is a good idea to have a third party sit in during the interview process—or at least provide them with all the relevant information, including the notes—so they can provide their unbiased opinion. To create a work environment that is diverse, it is important that you keep a few things in mind. First and foremost, do not focus on only looking for job candidates that are like you or people who seem like someone you would like to spend time with. Be open to finding people with different personalities, which will, in turn bring in different experiences, a fresh way of approaching a problem and new ways to solving to solve these problems. When it comes to a candidate’s background and experience, learn to be flexible. This can lead to some of your best hires. Don’t be afraid to be creative and you’ll be surprised at the different people you’ll be able to find. In my role as CEO, I make sure that my workplace is a diverse one—starting by creating a non-discriminatory screening process. Become aware of the common unconscious biases and take measures to hide information that could unconsciously sway you. Consider using a machine learning matching system that will screen candidates for you to help you avoid eliminating some of the best potential hires. Finally, make sure your interview process is bias-free by standardizing your questions, take notes, justify your position and ask for the opinion of others. By taking advantage of AI-powered recruiting tools and learning how to create a bias-free interviewing process, you will be introduced to stronger and more diversified hires. Liran is the CEO & Founder of Woo.io, a machine learning driven platform that discreetly connects what techies want in a job with the best opportunity for them. Woo.io works with companies like Twitch, Audible, Lyft, and more to fill their open tech roles.